I didn't sleep well the night before so I looked pretty tired by the end of second day. Also got a wee bit lazy with the dolling up! 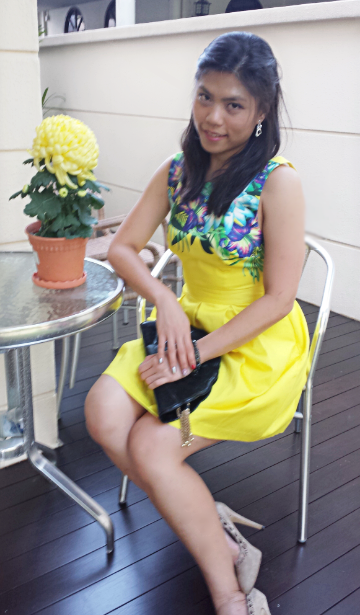 Wore my neon yellow and floral neckline dress from Forever New. Hardly wear this style of dresses so it was a nice surprise... until you see the cut out back. Dad was all, what's with the sixties look this morning and now?! Thanks to my updo this morning, I had wavy hair for the evening so I just pinned it up both sides to let it down and enjoy the waves. 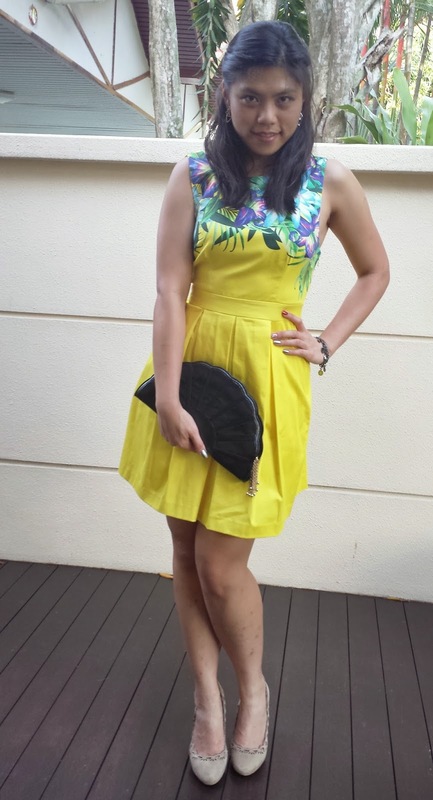 Used my Forever New fan clutch and Zara grey cutout suede heels to finish the look. For the past couple of years, I have spent the year before building my CNY collection. I put away new dresses from my closet that are festive enough, and when I see something CNY-ish I buy them no matter when. 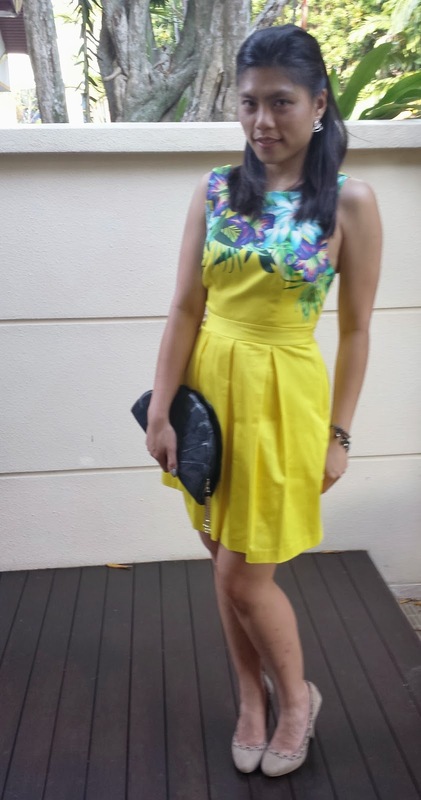 Like for example, I have already started on my next CNY (2015) outfits. Then a couple of weeks before, I make notes of the whole accessorizing each outfit thing. So each morning or night I don't have to spend too much time thinking, I just look at my notebook and go according to the lists!